High performance self-adhesive label stock. Bespoke water based adhesives that can replace solvent and hot melt adhesives. Combine any substrate, adhesive and liner to create your perfect label stock. As specialist label stock coaters and converters, Premier Coating & Converters Ltd manufacture high performance self-adhesive label stock. Our range of leading water based adhesives can replace solvent and hot melt adhesives. Combine any substrate, adhesive and liner to create your perfect label stock. One of the most durable label stock materials, PPG Teslin® is compatible with a wide range of print technologies. We supply self-adhesive PPG Teslin® using our high tack adhesive for the most demanding of environments. 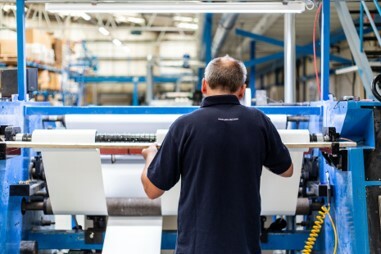 Our in-house manufacturing and coating lines are able to apply adhesives to materials up to 1500mm wide with coat weights ranging from 14gsm to 65gsm. We can source and coat materials to your specification or contract coat customer supplied substrates. With our technical expertise, water based acrylic adhesives can match and exceed the qualities of solvent and hot melt adhesives in most cases. 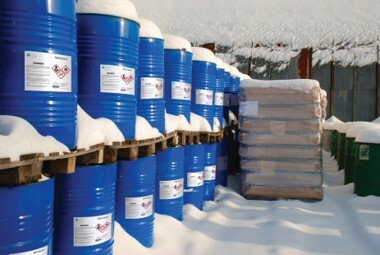 Allowing you to choose a more sustainable and safe label stock to meet your labelling requirements. As adhesive coaters and converters we are able to manufacture self-adhesive label stock to meet your needs. 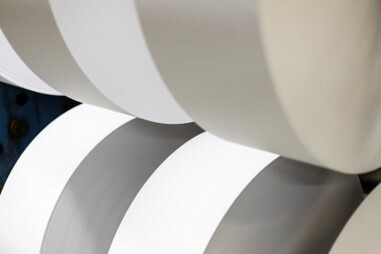 Our in-house capabilities, allow you to choose any combination of substrate, adhesive and release liner to meet your requirements and application. Our technical team is on hand to understand your requirements, advise you on the most suitable solution and provide samples for customer evaluation.